Have you ever strolled down that iconic street in your favorite little town, peering through the shop windows and wondered, “What kind of leather is that?” For 140 years the Burns family has had their hands in leather. First generation owner and founder, Miles Lamonie Burns made his dream of owning his own leather harness repair shop a reality and each generation since has become fine leather craftsmen. Today Burns artisans hand make boots, belts, handbags, wallets, and our latest venture, luxury leather cell phone cases. Some of our most skilled, talented artists design and create in Salina, Utah at the leather shop. They are dedicated to building extraordinary western saddles. When second generation owner Vivian Burns, son of Miles, said, “If it’s leather, leave it to us,” I bet he couldn’t have imagined what fifth and sixth generation owners had in store. So let’s demystify that question and teach you about some of our favorite reptilian leathers. American Alligator is one of the world’s most prestigious and exclusive leathers. Indigenous only to the United States, it is a limited leather to be shared with the entire world. We fight for this leather with luxury brands such as Prada, Hermes, and Gucci. Alligators grow much larger than crocodiles, distinct in their uniquely large tile size. The center of the hide is the most premium cut of the Alligator. Polished yet versatile, it offers a boot collector an ultra-soft, comfortable boot. 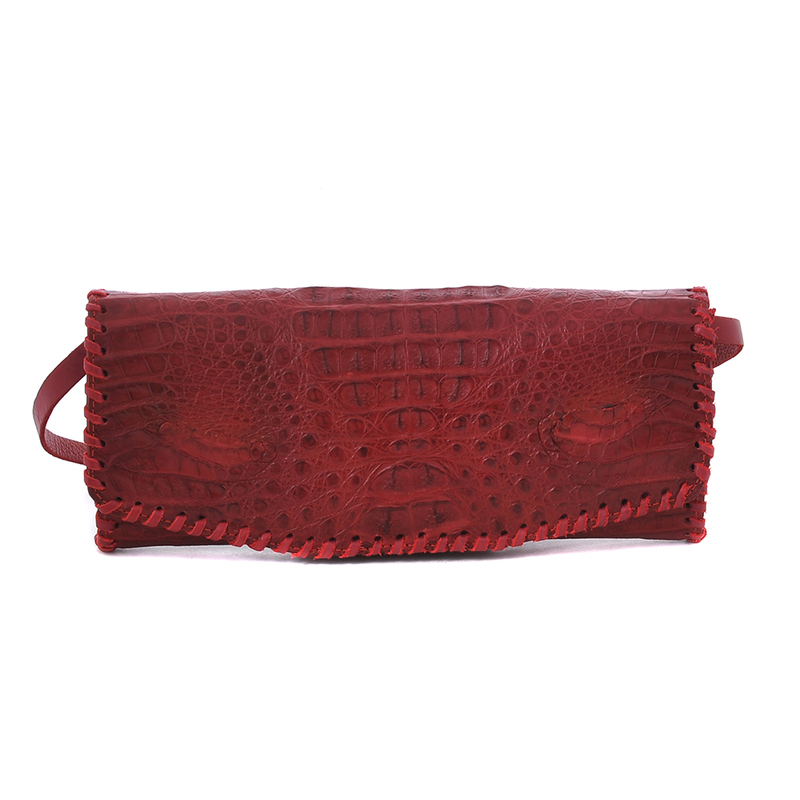 But if accessories are more your thing, an alligator belt, handbag, wallet or cell phone case will definitely get noticed. 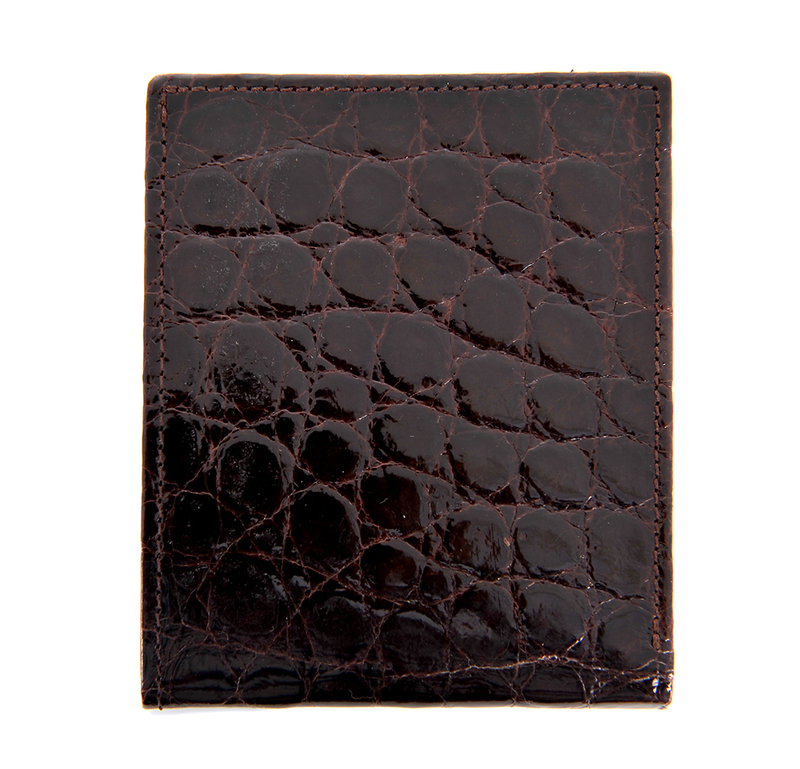 American Alligator is the most luxurious of all leathers on earth, definitely status leather. Crocodile is one of the most stunning skins Burns offers. 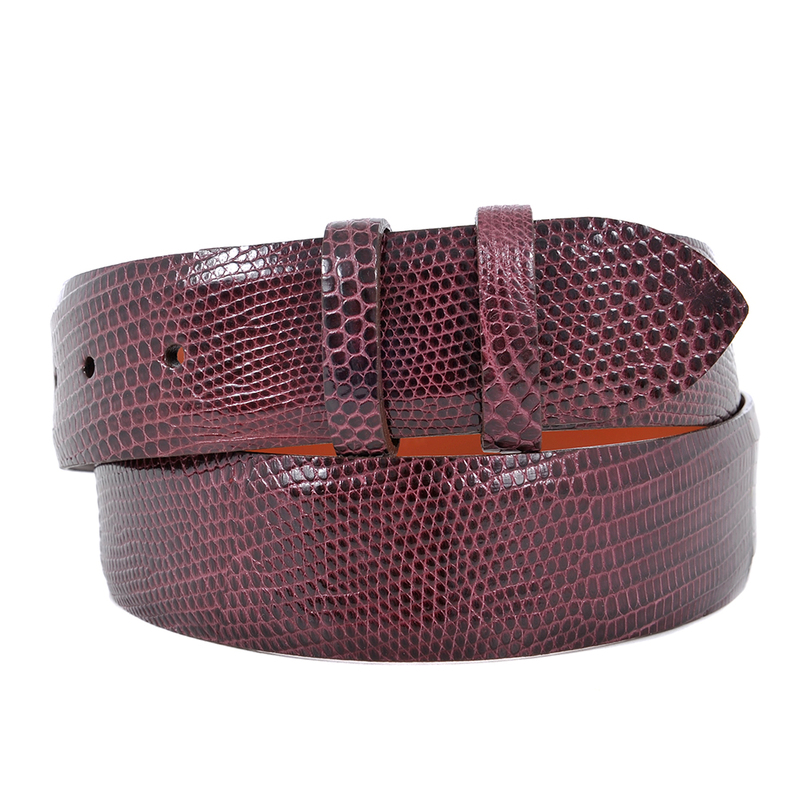 Caiman crocodile is one of our favorite, go-to leathers. Glossy tiled, ultra-crocodile belly skin lends dressy appeal. The “belly skin” is the term given to that part of the skin which includes the entire underside of the crocodile’s belly, tail, and chin. Smooth and flat, belly is the most premium of all cuts and the most valuable piece of skin on the crocodile. As a material for use in the making of accessories, crocodile skin is near-perfect, providing a constant source of wonder – soft, yet incredibly tough and each with its own unique scale pattern. This is the reason every luxury brand uses this gorgeous leather for handbags, wallets, dress belts and other accessories. The “back strap” is the piece of crocodile skin running down the spine of the animal from immediately behind the head to its tail, and includes four rows of raised osteoderms, bony deposits that form plates and scales on the crocodiles back, giving a very different look and feel. There is a sense of tough, ruggedness with this skin, perfect for a statement boot or handbag. 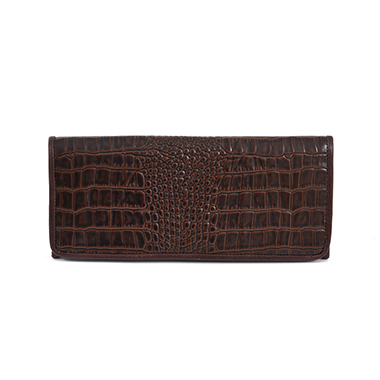 Nile crocodile is very soft, generally large tiled leather. It has a clean look; the scales on the belly are more uniform in size and shape, unlike the caiman which has more definition in the tile. Nile is considered a premium of the crocodile species. This rich, beautiful leather oozes luxury. Teju Lizard has a very distinct hide. With a more pronounced pattern across the back and belly, it is instantly recognizable as the most desirable of the lizard skins. The small tiles attract the eye and the light. Teju has a richer feel than most lizards and is normally cut to show the belly in the center of the finished skin. It can be treated to be a gorgeous dress boot or belt and has the amazing ability to be treated with methods like stone washing or sanding, giving it rocker attitude.